Sporting stars Jonny Nelson and Bruce Dyer formed a league of their own as they teamed up with young people to show a red card to hate crime. 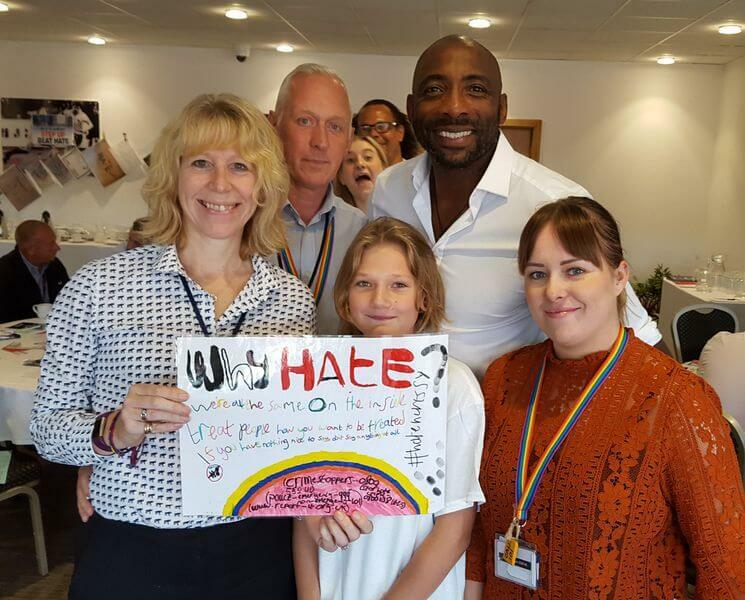 The Boxing World Champion and ex-premier league footballer were guest speakers at the Stand Up and Beat Hate event at Rotherham United’s New York Stadium on Friday (31 August). The event was organised by REMEDI – an organisation that works with young people who have been a victim of crime – and was part of their project to challenge attitudes and misconceptions about people’s differences. It was supported by South Yorkshire Police and attended by the force’s hate crime lead Supt Sarah Poolman, as well as district hate crime co-ordinators and special guests including The Mayor and Mayoress of Rotherham. PC Chris Nicholson, hate crime lead for Rotherham said: “The event was for young people from all areas of South Yorkshire who have been affected by hate crime. 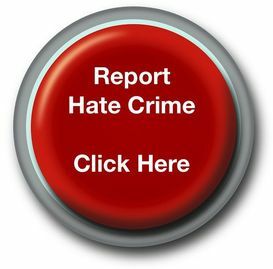 “The aim was to raise awareness about hate crime and also create ambassadors to speak out about the impact of this type of behaviour. The project has been run in partnership with Rotherham United Community Sports Trust and one of the activities that the young people took part in was painting the steps at the New York Stadium ahead of the football season. "Rotherham United are big supporters of the Stand Up and Beat Hate project which is reflected by messaging around the ground,” added PC Nicholson. Pictured are the young people involved in the project at the New York Stadium alongside Jonny Nelson and Bruce Dyer, former Barnsley striker.